Connie to the Wonnie: So Keep Going? Like your blog, found it some time ago. 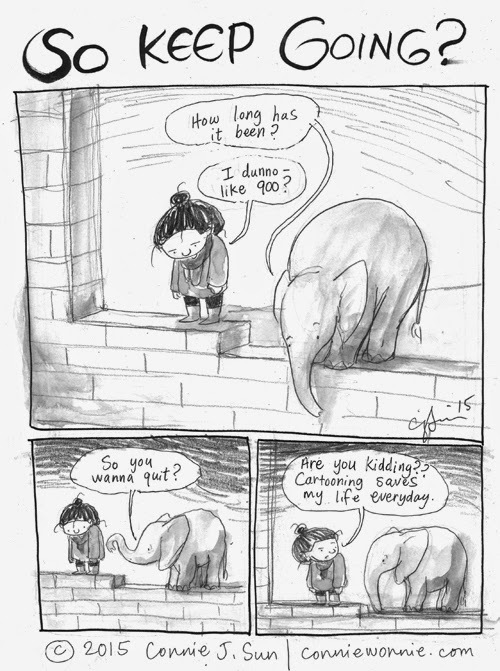 Like the elephant too! Indeed, please do keep saving your life. Yes, please keep going. I look forward to your stories every day! Yes Connie.Please do keep going.Some days your posts are just the only thing that keep me going.They bring much needed cheer on really gloomy days.Also congrats on the 900th. Your site is rather marvellous too. Do you publish them as posters or postcards? - I think you'd find a huge market for such a talent.